Touched upon in American History books, but not nearly with the emphasis the event deserves, the series of protests in West-Central Massachusetts known as Shays’ Rebellion began on this date in 1786. More closely related to the Occupy Movement than contemporary anti-government ideology, those who took part in the civil disobedience, much of it while armed, tended to be farmers , a good number of them combat veterans of the Continental Army. Suffering from the deep recession that followed the formal end of the Revolutionary war, and for veterans, a continuation of broken promises for compensation and even back pay from Congress, rural Massachusetts farmers were experiencing record farm foreclosures and debtors were often sent to prison on behalf of creditors, merchants who tended lived in and around the capital and economic port of Boston. Motivated by a strong desire by banking, shipping and manufacturing interests anxious to pay off foreign debt in exchange for overseas trade credit, many in state government took a hard line on loan defaults, including those of farm mortgages or debts secured by land. Under Governor John Hancock, this zeal for imprisoning debtors and seizing farms was somewhat contained, but when Hancock was succeeded by James Bowdoin, debt collection became a top and vigorously pursued priority for the state’s courts. 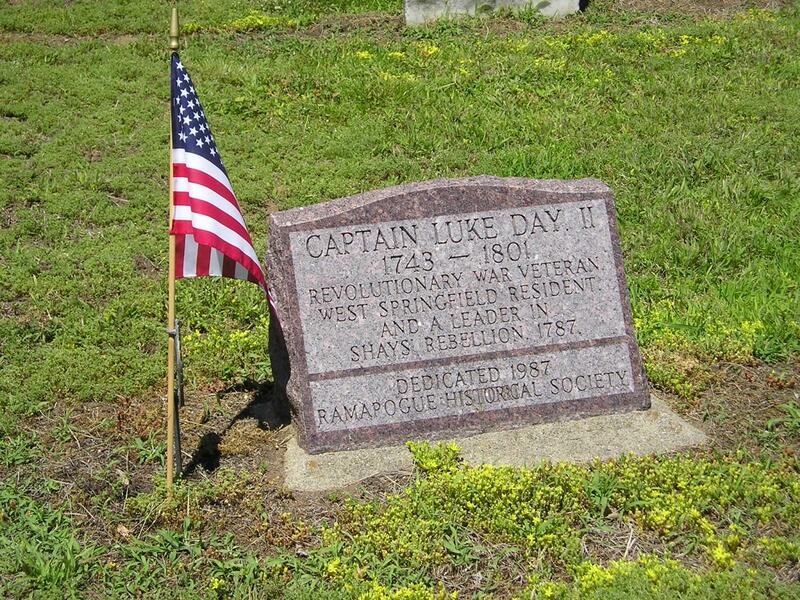 On August 29, 1786, Revolutionary veteran Luke Day, who three year earlier had been imprisoned for over two months when he was unable to pay a 34£ debt, led a group of armed citizens who surrounded the Common Pleas Court of Northampton, Massachusetts. A few year earlier, Luke had been instrumental in opposing during the final years of the Revolution a protest movement by Pastor Samuel Ely who’d been shutting down local courts in which taxes to pay for the Revolution were collected. The irony must have been realized by Day. By the early afternoon of August 29, 1786, the justices, whose role was to hear bankruptcy and debt cases, decided to adjourn for three months without hearing any cases. The estimated tripling of the armed crowd since the morning was a powerful persuader. Other such acts of defiance against the courts and foreclosure agents increased in both frequency and militancy in the western and west-central reaches of the state. State legislators and business leaders, including those who held debts, called upon the national government, then operating under the Articles of Confederation, for a military force to restore order. The government, lacking the total consensus among the individual states needed for action, demurred to the request. Funded primarily through subscriptions by business interests in the eastern part of the state, a government militia of over 4,000 troops was eventually formed to restore order and capture the revolt’s leaders. The rebellion, which now bears the name of Daniel Shays, one of the more prominent leaders of the revolt, finally petered out in the spring of 1787. However, the event had an effect on many who would later that year participate in the Constitutional Convention. That effect remains the subject of ongoing debate among historians, but the rebellion certainly helped convince lawmakers to scrap the Articles of Confederation and it’s lack of a strong central government. When the Articles were abandoned in favor of our present Constitution, it was largely if not primarily done so by business leaders and those with significant land holdings dependent upon international trade. These Founding Fathers were, by in large, much more closely aligned to the banking and trade interests such as those defended with force by James Bowdoin than to the plight of those such as Luke Day and Daniel Shays. These Constitutional Convention leaders also saw as a threat to national interests any institutional weakness that prevented a response by the federal government to quell state insurrections that threatened the overall access to overseas credit. Constitutional Convention President George Washington, as our nation’s first president, personally led a militia force to put down the Whiskey Rebellion during the beginning of his second term in office. 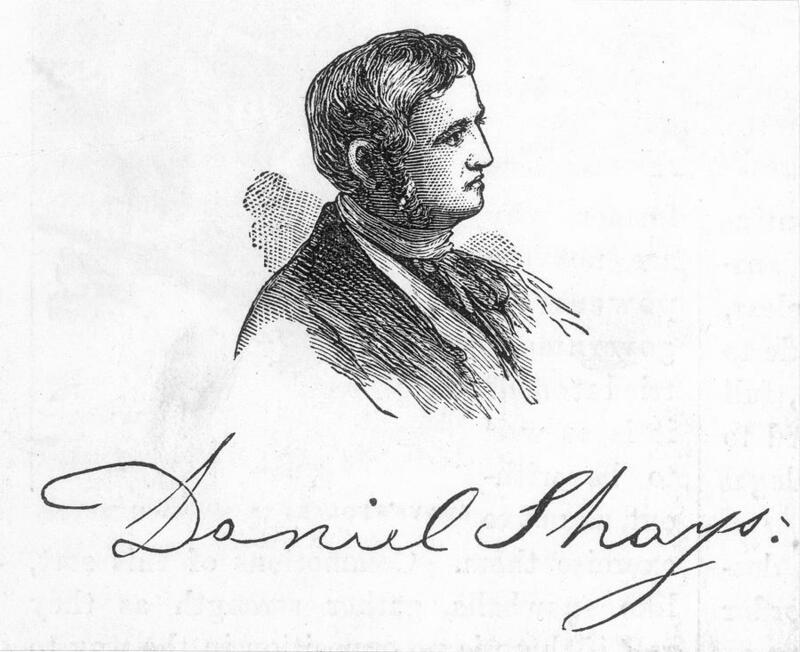 History serves as prologue in the case of Daniel Shays’ Rebellion. Throughout our national history, various political movements from all points on the political compass have lain claim to the legacy of our Founding Fathers. In fact, such comparisons have become a tradition. Of course, the past is filled with complex issues with fallible players often leading philosophically inconsistent lives. Our messy national birth process was not neutral when it came to economic interests. Suggesting that our founding was a populist revolution in now was squares with well-documented facts and sentiments. It’s therefore unlikely that any of us will see many bumper stickers with such slogans as “Protect the Banks!” or “Bring Back the Debtor’s Prison!,” but for those who evoke the legacy of those founders of the United States, slapping on those types of stickers would have much more historical truthfulness than many commonly seed on the backs of cars today.